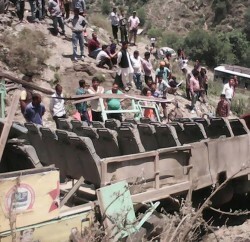 Shimla: The Himachal Pradesh Government has allocated Rs. 50 crore to PWD for the improvement of black spots at various places in the state in order to ensure road safety. Chief Secretary B.K. 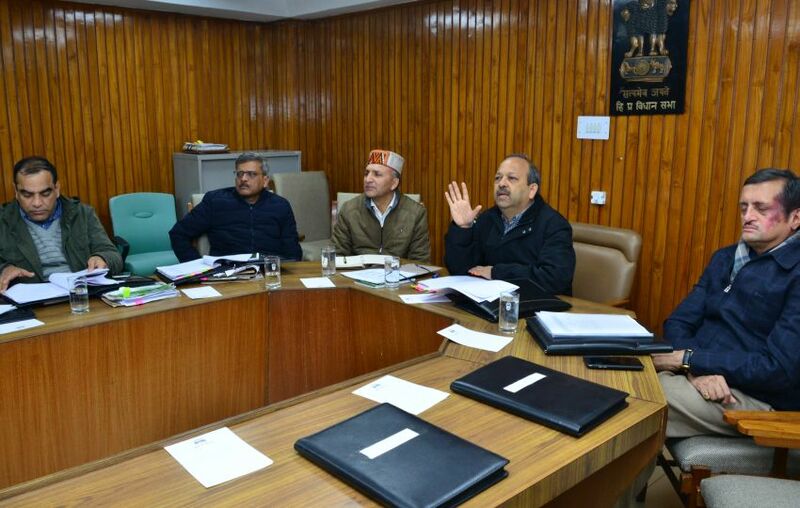 Agarwal in a meeting over road safety situation at Vidhan Sabha Committee Room today, directed the PWD to inspect the black spots in the State and repair the same and submit the report soon. He said that no compromise or lapse would be tolerated in road safety. Agarwal directed the transport department to follow the stipulated instructions while issuing licenses in order to ensure road safety regulations and avoid road accidents in the State. He said that concerned departments should issue driving licenses to only expert drivers who knows and adheres to the road safety regulations and has trained from driving training schools. 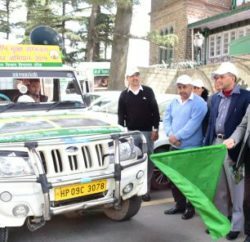 Chief Secretary asked the transport department to organise training camps from time to time for providing important information regarding road safety regulation and safe driving at the various places for drivers and driving schools. He directed the police department to take strict actions against the persons who drives while intoxicated, does not fasten seat belts, over speeds and does not use helmets while driving two wheelers. Agarwal asked the concerned department to lay down strict guidelines for private schools who ply school buses and apprise these guidelines to education department and the schools affiliated by ICSE and CBSE, and further directed to terminate affiliation of defaulting schools. He directed that all school buses plied by private schools should be inspected by the April month. Departmental Officers should take related information from principal or school management regarding condition of bus, full details of bus drivers, their licenses and details of conductors etc. DGP Sita Ram Mardi, Additional Chief Secretary Home Manoj Kumar, Principal Secretary J.C. Sharma and K.K. Pant, MD HRTC Sandeep Bhatnagar and other senior officers were present in the meeting.